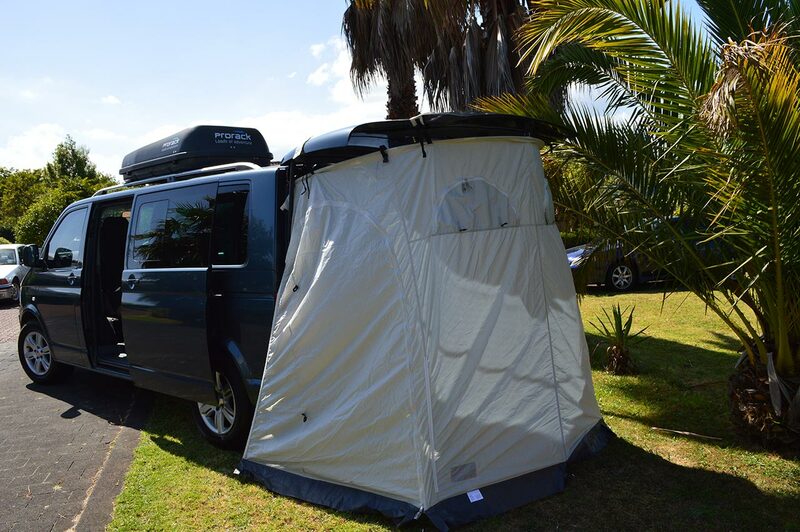 Volkswagen T5 4 motion, 2 or 4 berth with an optional Intenze Wanderer canvas roof top tent. 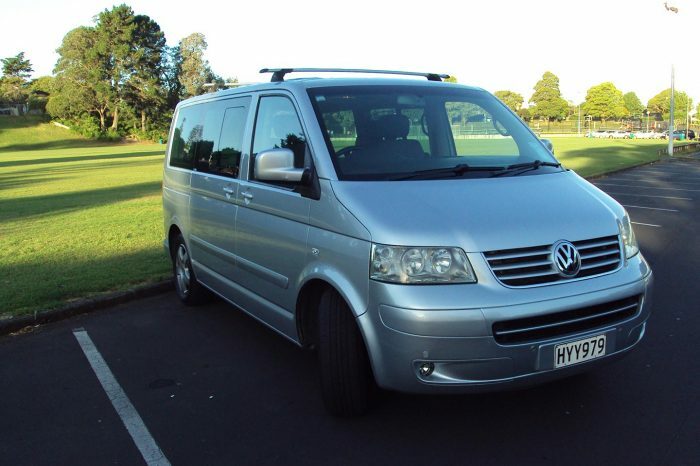 A perfect compact campervan for travelling and experiencing New Zealand on a budget. Suitable for two adults and two children. 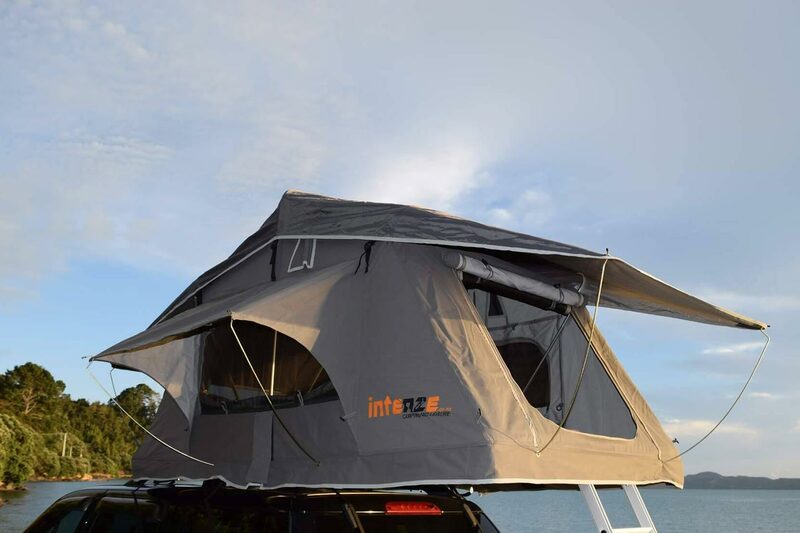 Full-width double bed in the main cabin for adults and a comfortable sleeping mattress in the canvas roof top tent for the children. 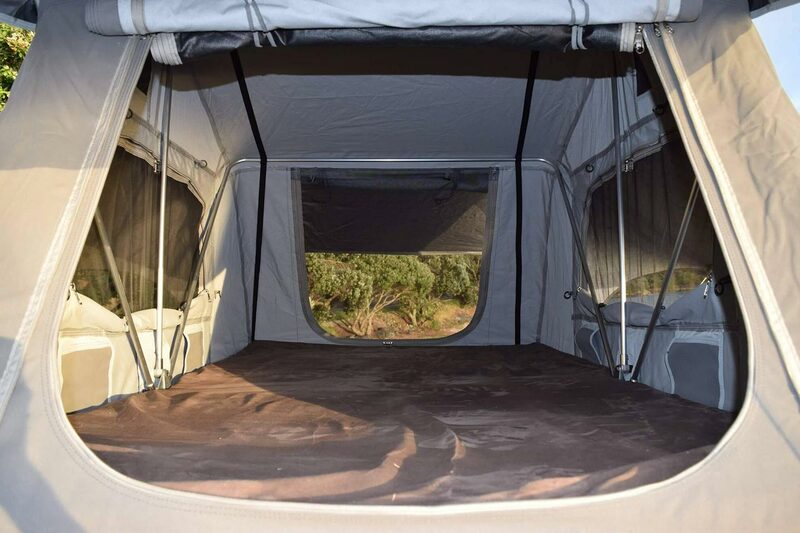 The roof top tent can easily accommodate adults with a 2.35m x 1.4m sleeping platform, 65mm mattress. 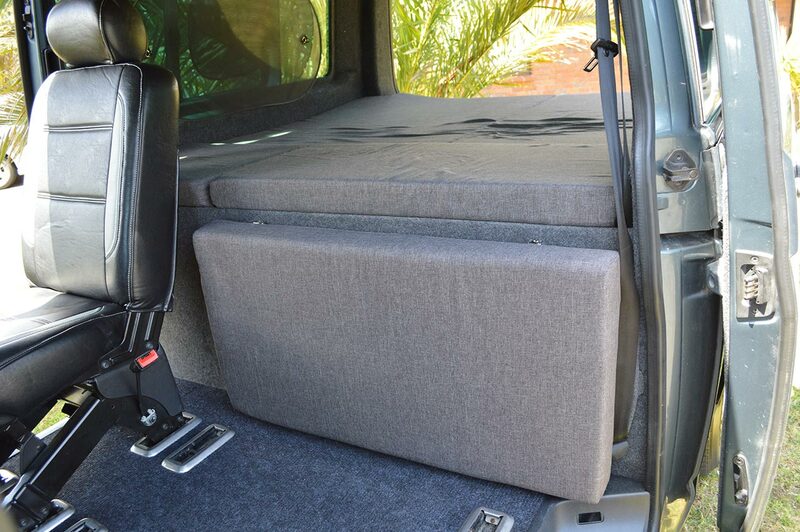 Fantastic views and brilliant air-flow. 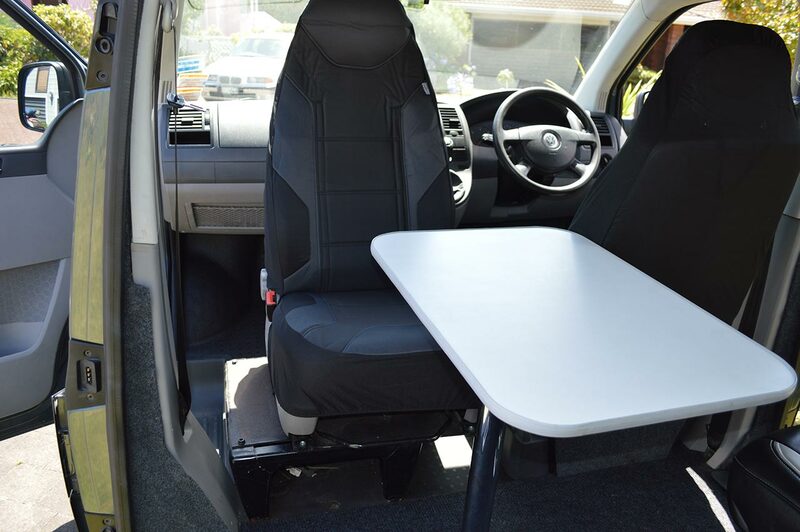 All cabin seats are fully interchangeable depending on passenger numbers and can be removed completely if preferred. 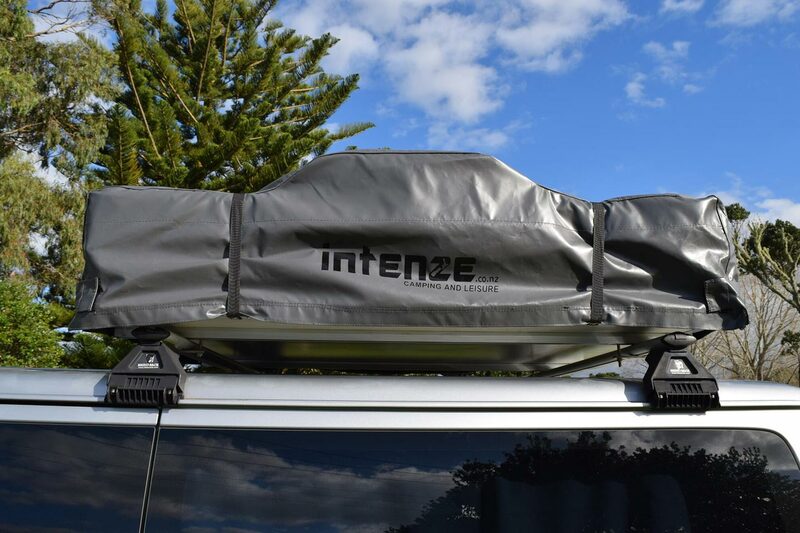 Additional storage is available with an optional Prorack roof box in place of the roof top tent. 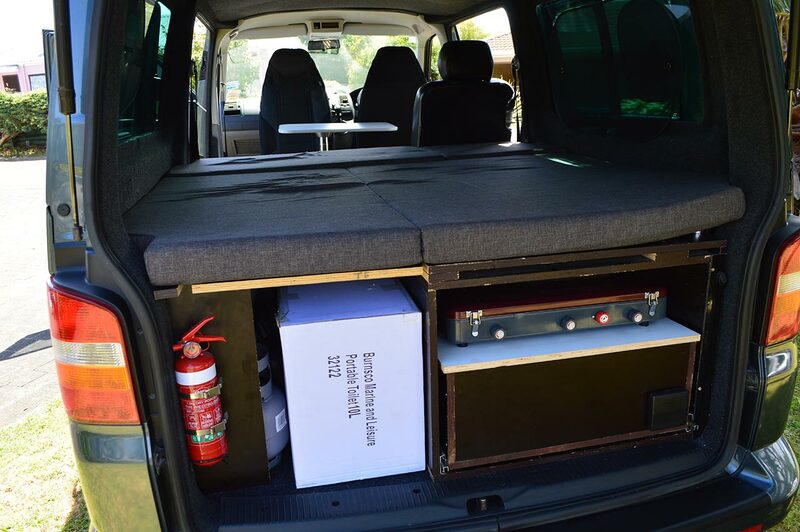 The interior and cooking facilities are a vastly different configuration to the traditional L-shaped campervan kitchen with single divans. Instead, you have the option of leaving the bed down permanently – beats packing and unpacking between night/day mode hands down! 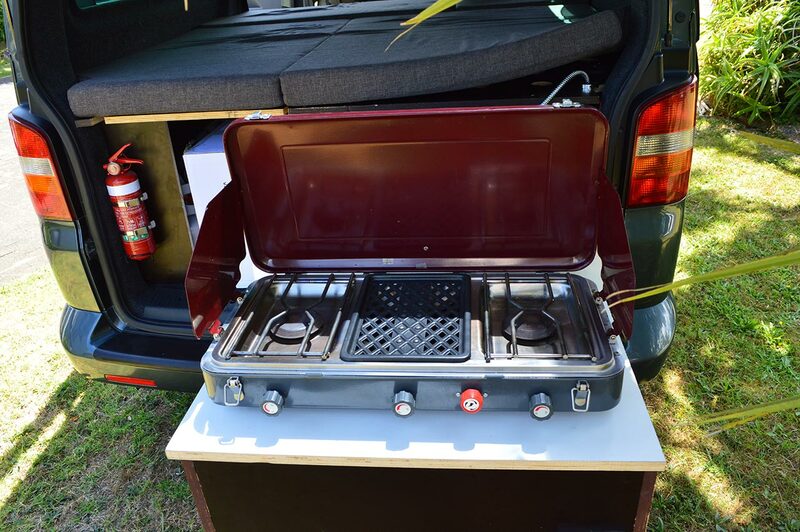 Perfect for couple’s travelling from one campsite to another. 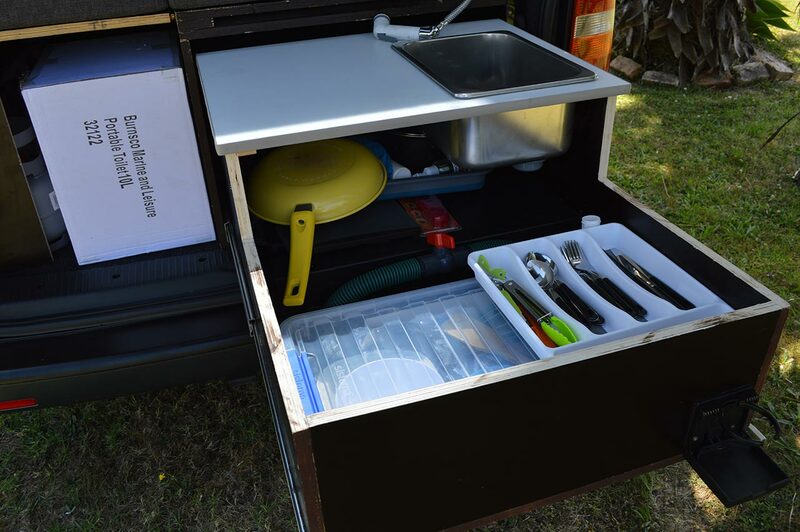 Cooking and washing up facilities are accessed by a slide out drawer underneath the bed frame. 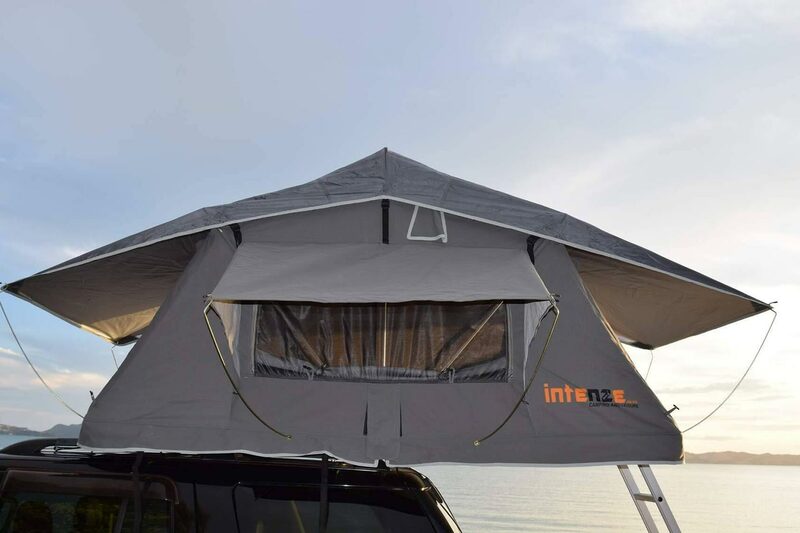 Rear tail gate opens to provide some overhead shelter if required or ask for our optional rear awning tent which doubles as a privacy room. It’s always nice to have that feeling of extra space. 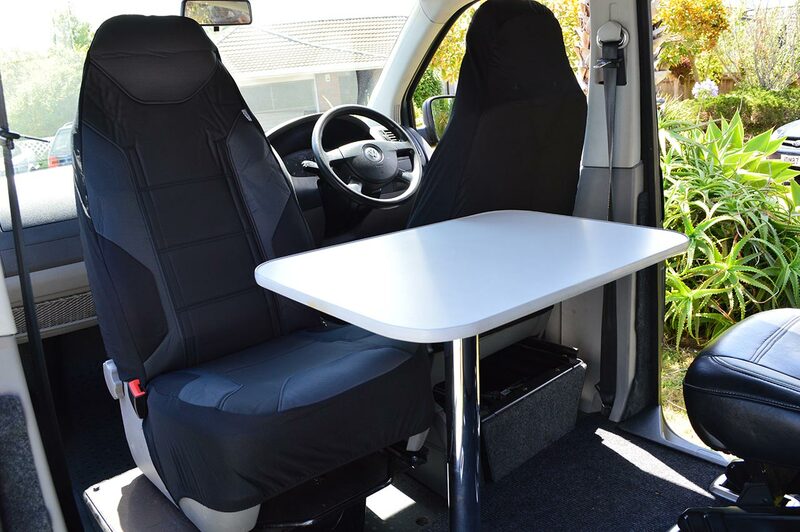 There are pros and cons when comparing a sleepervan to the traditional hightop or pop-top camper. 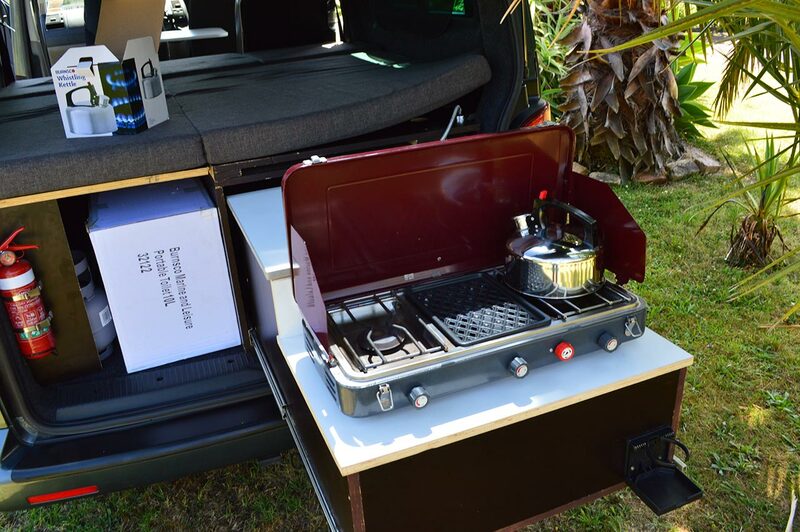 When the New Zealand summer is in full swing, cooking outdoors is just the very essence of travelling through New Zealand. Right up there with fishing, experiencing the outdoors at any opportunity is a favourite pastime of New Zealanders. 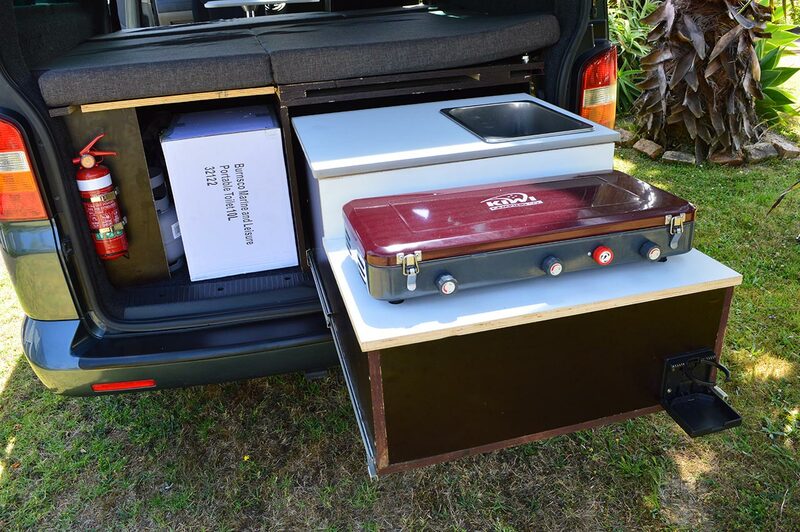 The flip side of a sleepervan is you don’t have the headroom when standing up. This doesn’t really factor into the travel plans unless you strike rough weather and then the hightop comes into its own. 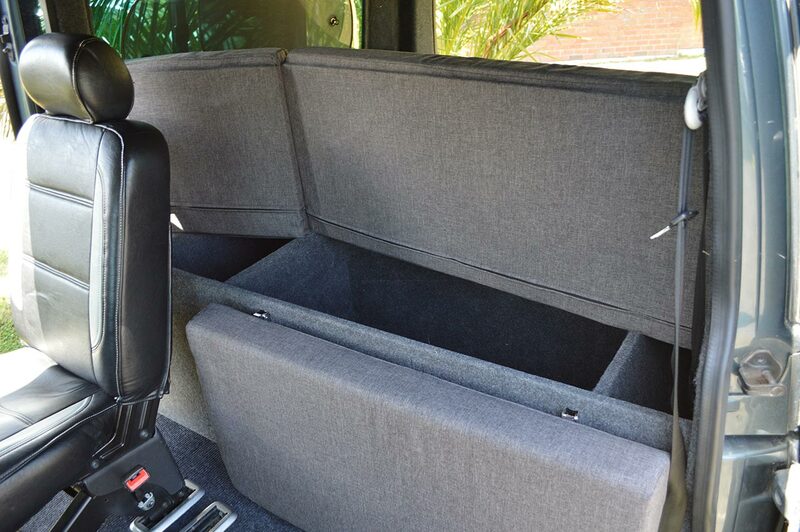 A full-width RocknRoll bed doubles up as a three person seat during the day. Seatbelts are three full diagonal belts. 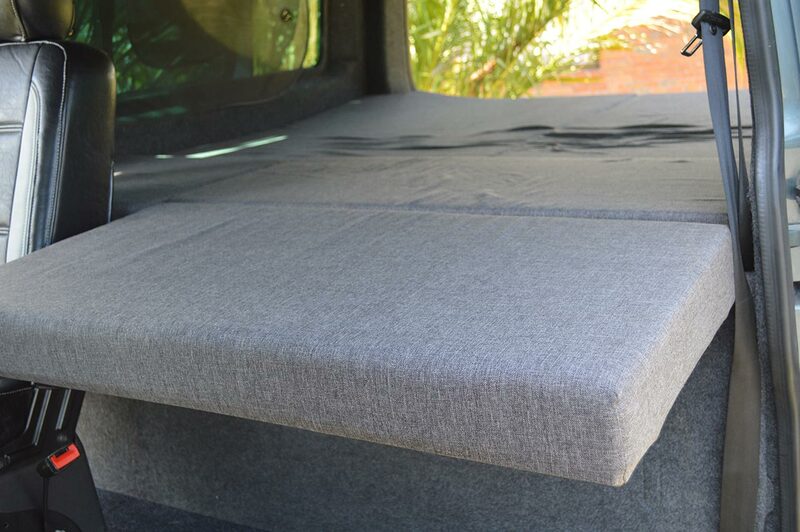 Note: The Roof top tent shell material is 400g poly/cotton UV treated canvas with a waterproof rating of 1500mm PU. 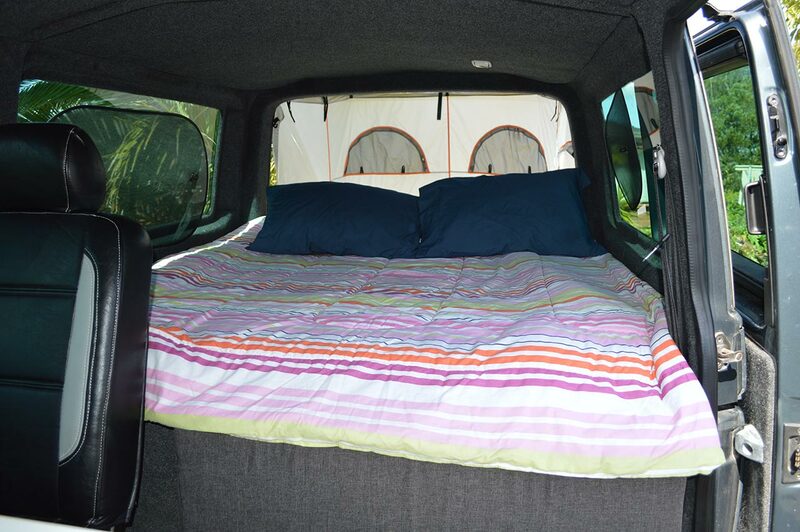 Raised Fly is Oxford polyester, UV treated water rating 3000mm PU and suitable for four season camping. 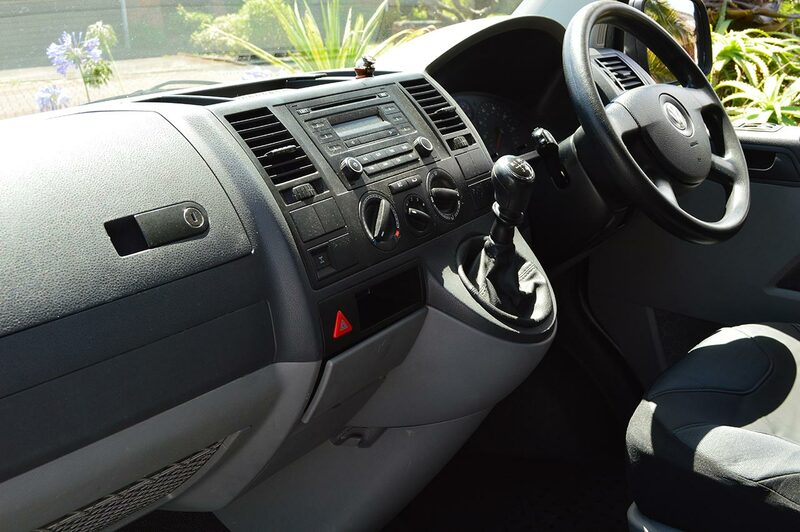 Battery Supply: There are 2 batteries in this vehicle, one located under the bonnet for starting the vehicle, and the other located in the rear unit for operating the equipment. 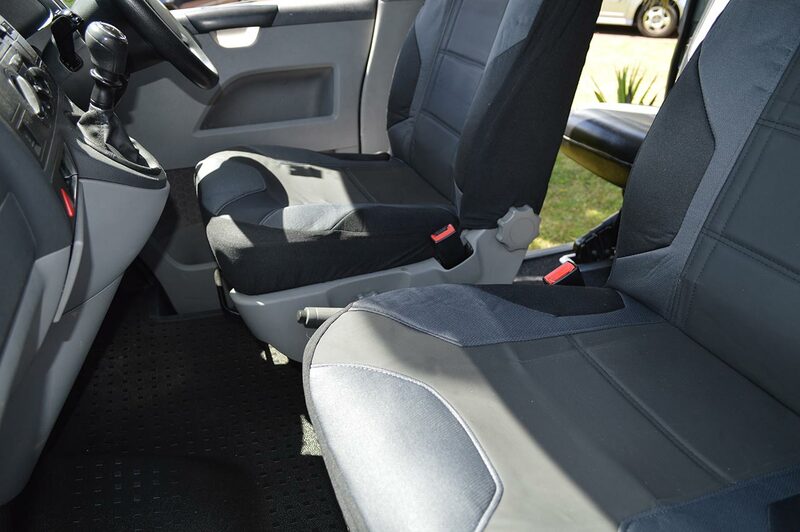 Seating Configuration: 2 seats with diagonal safety belts in the front cab. 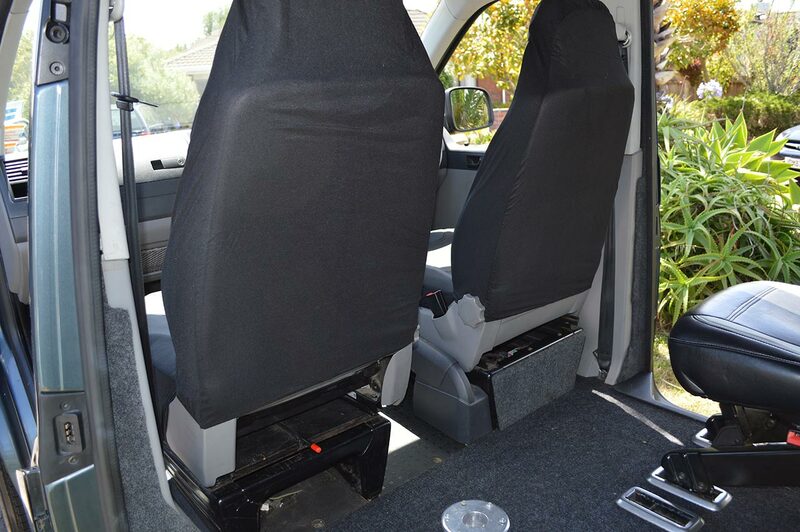 Rear cabin seats, three person seating, three diagonal safety belts.